Ok, ok, we’ve heard it all before… “Your race isn’t 30 miles” “How come I’m only doing 1 lap instead of 3 laps to get my 30 miles” We know it’s not exactly 30 miles, but it’s close enough. And Dirty 26.4 doesn’t exactly roll off the tongue. BUT before you knock the mileage please do your homework on the Elevation gain and the terrain changes. So for all of you racers that are other than Expert, we have created a 3 Lap Open class that will allow you to get your almost 30 miles and 3500ft of climbing in. We also took a long hard look at all of the other categories and please understand that it’s tough to accommodate all racers. We feel that the category layout we chose will have something for pretty much everyone. 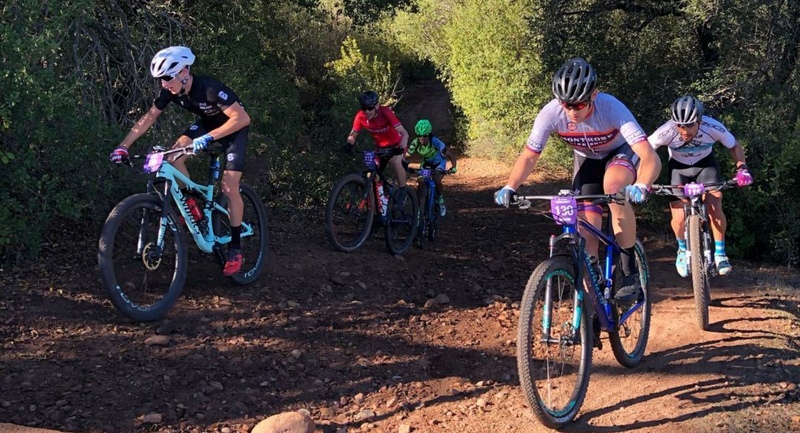 The Quick n’ Dirty MTB Racing Dirty 30(ish) will take place at Sycamore Canyon in Poway. This will be a fun event and the terrain will challenge all of your mountain biking skills. The start of the race will take you on a section of trail that allows you to descend in to the valley. From there it’s fast sprints, little climbs, world class downhill, flowy singletrack, and a lung testing ascent back up to the finish line. There will NOT be a kid’s race due to the venue not being able to accommodate a decent route. However, we will be having a grom push bike race that will take place in the vendor area of the venue. If you are traveling North on Hwy 67 turn LEFT on to Sycamore Canyon Park Dr. If you are traveling South on Hwy 67 turn RIGHT on to Sycamore Canyon Park Dr. Follow Sycamore Canyon Park Dr. until you hit the staging area. Click on the image below to see a map of the area.